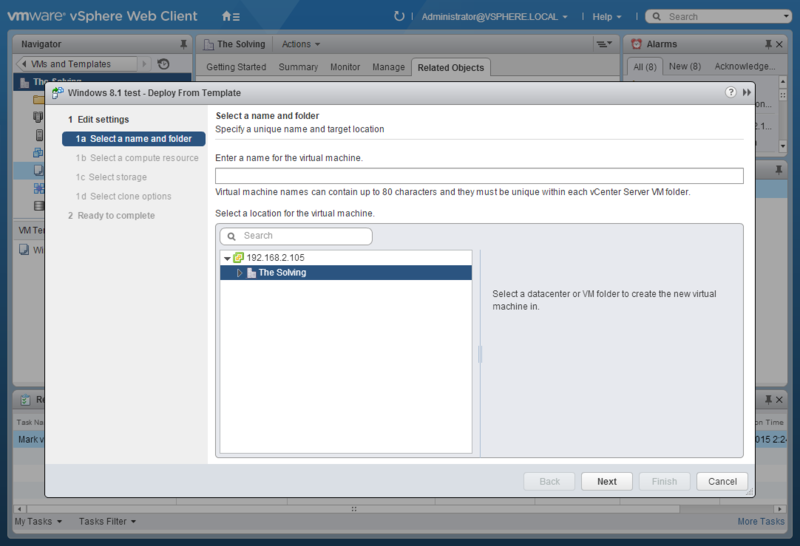 Cloning virtual machines is a common task in virtualized environments, so common VMware created a different type of virtual machine to be used as a Template (and named Template). 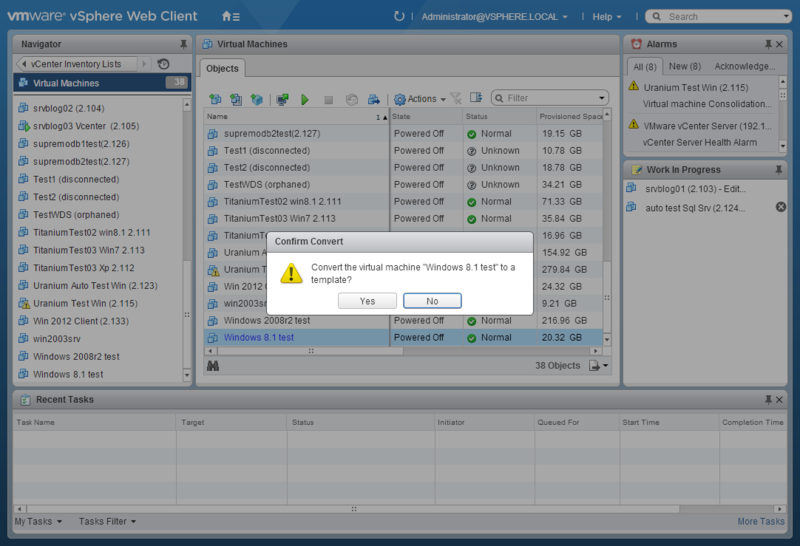 The difference between a VM and a Template is simple: you can’t power on a Template so you can’t modify it without converting it back to a virtual machine. 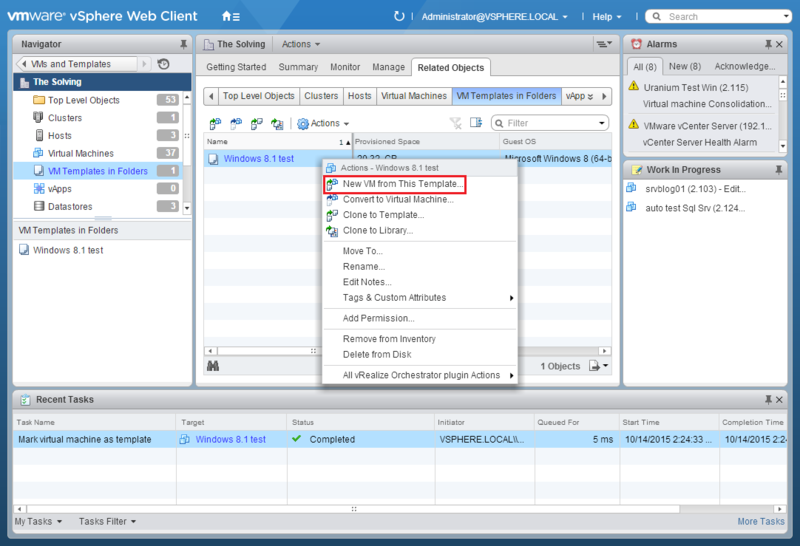 When a VM is converted to a template its .vmx file become a .vmtx file. 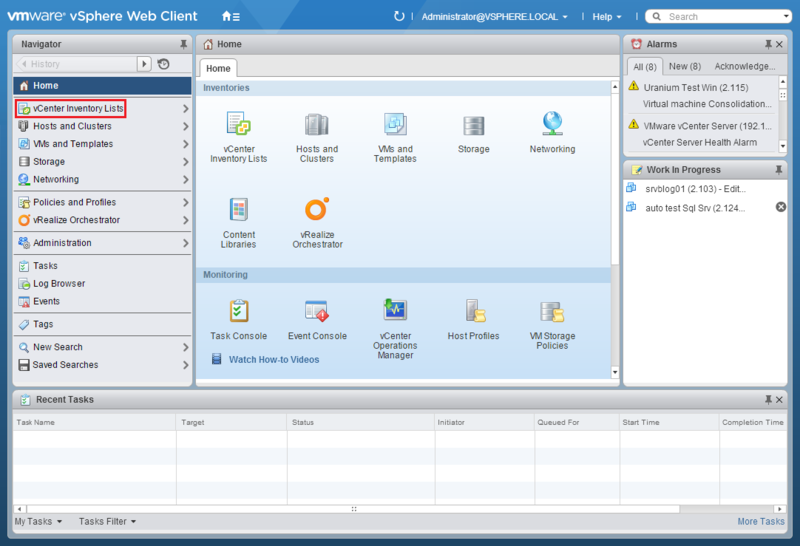 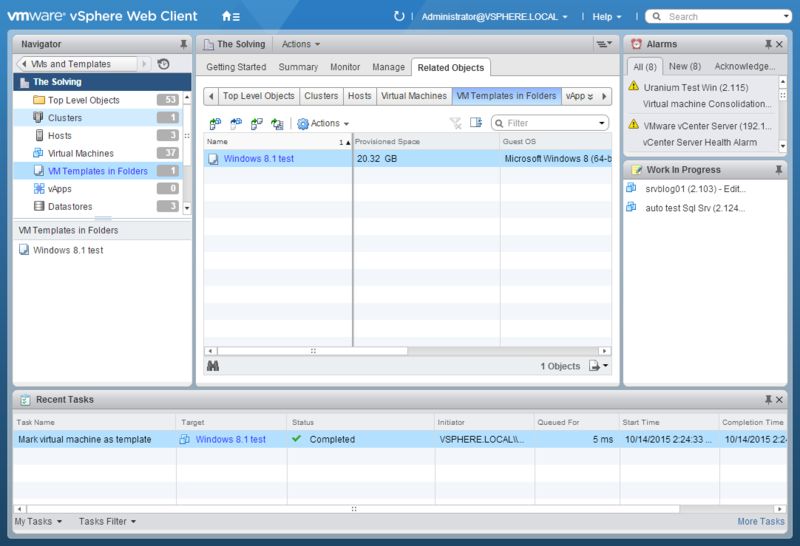 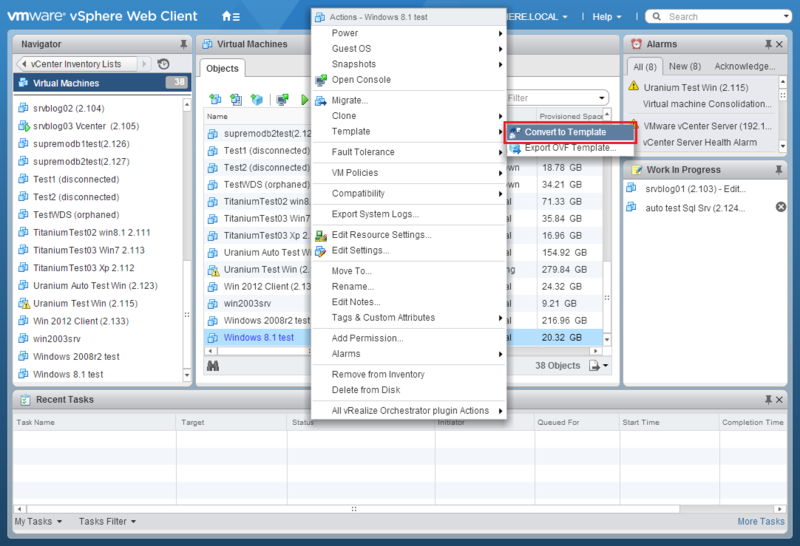 It’s pretty easy and quick to convert a VM to a template with VMWare vSphere Web Client, just follows these steps.